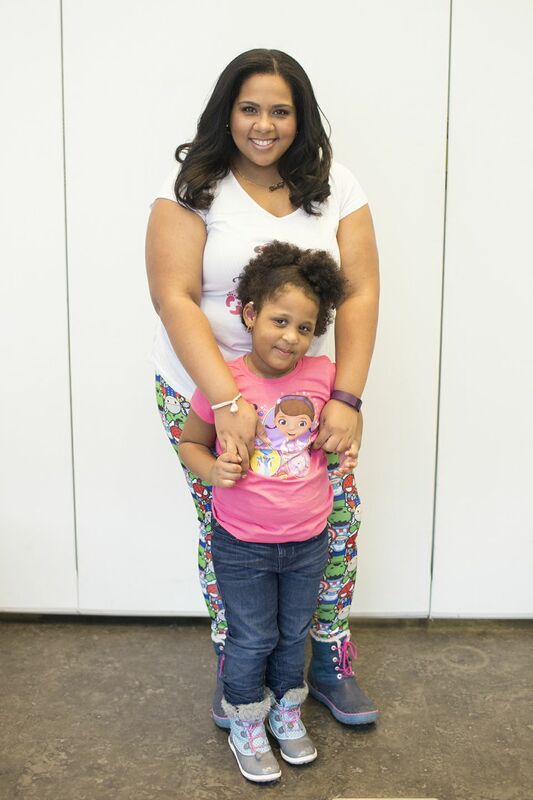 This is a sponsored post created in partnership with Baby Magic and Momtrends. All opinions are my own. It's always an amazing time when Momtrends invite us to check out the latest news and improvements to our favorite brands. 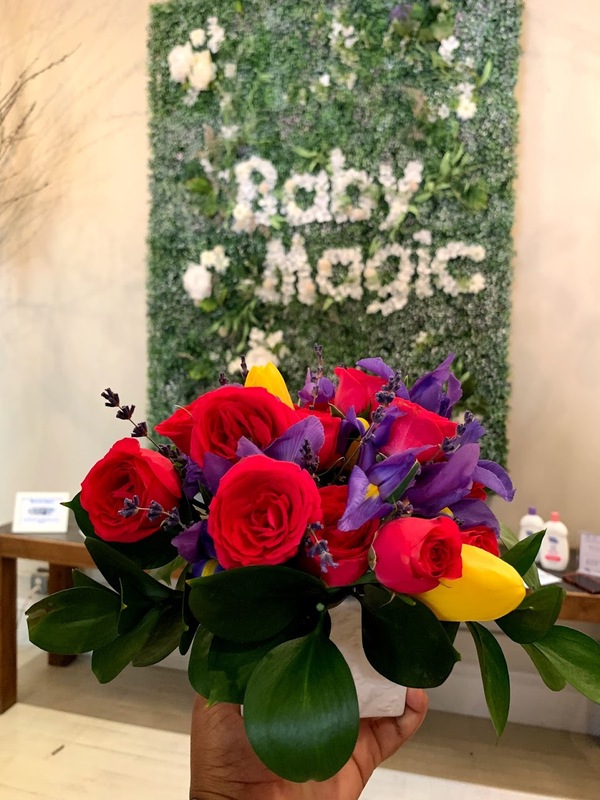 This time, we were invited to check out the newest features of Baby Magic's Skincare line up. 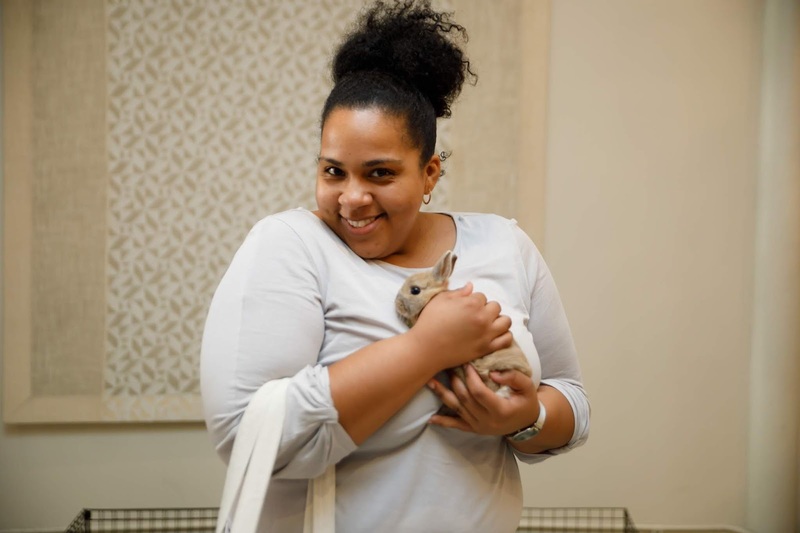 And just in time for Spring, the brand is all about the BUNNIES! That's right, Baby Magic's new mascots are adorable bunnies. 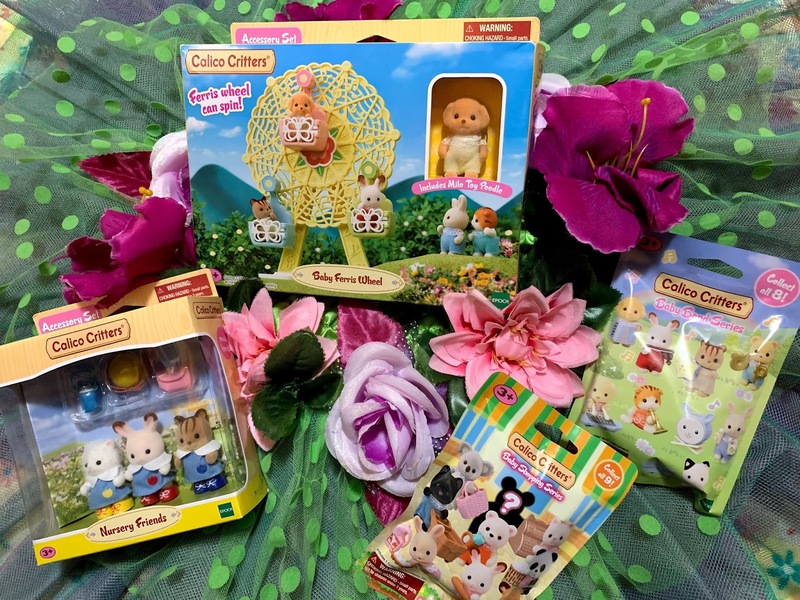 We got to hang out and take photos with these super cute fluffy bunnies and were even put into the Spring spirit with the help of Alice's Table, who helped us create the most gorgeous floral arrangements! Anywho, this family-owned brand is rooted in rich tradition since 1951, but are now embracing change and customizing its products to accommodate the everchanging needs of parents and babies. The brand designed this new product lineup with everything parents grew to love and kept out everything they don’t, like sulfates, mineral oil, dyes, parabens, phthalates, talc, and lanolin. 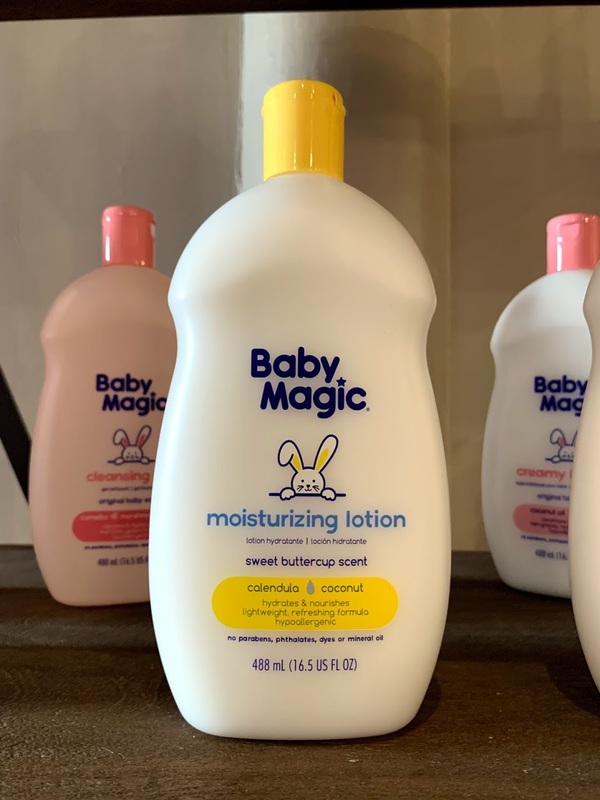 Baby Magic’s 2019 lineup features a complete collection of baby skin care items under the umbrella of three standout scents – Original Baby, Sweet Buttercup (my new favorite) and Lavender Lullaby. The brand is also rolling out innovative new treatment items including a first-of-its-kind Hydrogel Multi-Purpose Patch that cools and soothes skin suffering from ailments like dryness, sunburn, fever and more. This new Hydrogel is safe for myself to use as well as babies! It's definitely a treat for my daughter's eczema prone skin. It's also great for helping your little one cool-off if they have a fever or even help soothe headaches and migraines. For those little angels with normal to dry skin, the Original Baby line will feature the same nostalgic baby scent parents have loved for as long as I can remember, with standout ingredients like Camellia Oil and Marshmallow Root to hydrate and soothe the skin. The Sweet Buttercup collection is most important to me as it is formulated for a gentler touch and infused with ingredients like Calendula Oil, Coconut Oil, and Shea Butter to gently nourish and hydrate skin. And to help get little ones to sleep, the Lavender Lullaby line features aromatic scents and sleep time favorites like Lavender and Chamomile for sweet dreams and a shorter bedtime routine, plus Aloe to help replenish skin’s moisture barrier overnight. 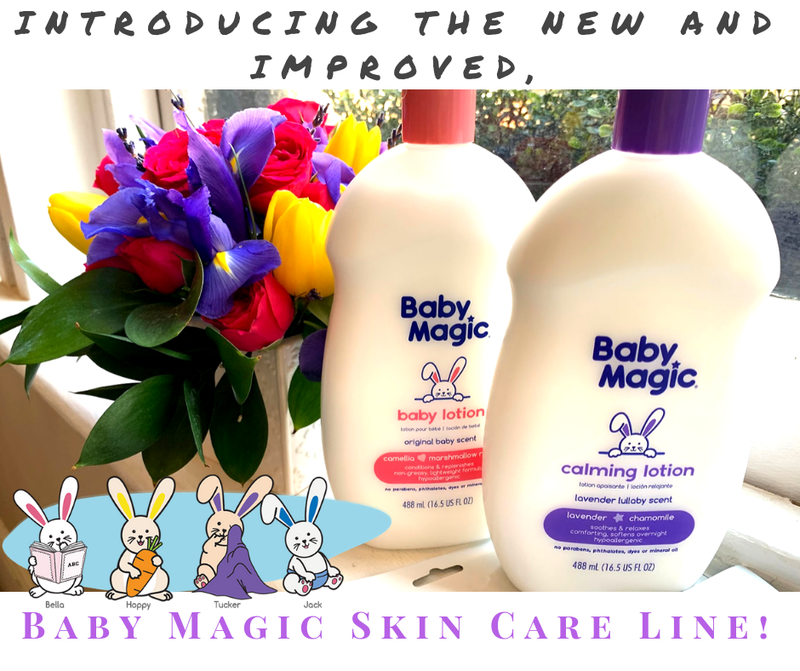 Overall, I'm excited to see the changes made to the Baby Magic line and am very excited about the new Hydrogel patch! Have you tried Baby Magic? What's your favorite Scent?